A big thanks goes out to John D’Angelo and his team of judges who showed up at Livermore Porsche in April for the Zone 7 Concours School and Car Care Clinic. There were over 60 people in attendance to learn more about judging and car care. Another great event was at the end of April when John Seidell and Howard Yao from Golden Gate Region chaired the two day Zone 7 Autocross held at Marina. The event sold out with 50 students having a great weekend. Thanks goes to all the instructors who came out to help spread the autocross bug. I also want to thank Porsche of Monterey for their sponsorship. 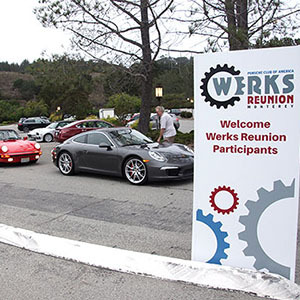 June starts out with our second Zone 7 Concours event put on by Loma Prieta Region at Fremont Porsche on Sunday, June 3rd. Later in the month Sacramento Valley Region will have the 3rd of the series at Red Bus Brewing Co, Folsom, CA . Both these Concours have new locations this year. Come and join us! 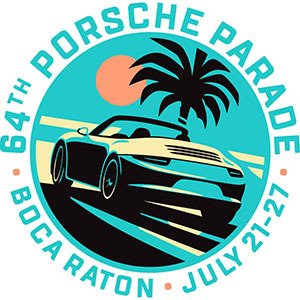 Plan now to be out and about driving your Porsche on June 8th and 9th for “Sports Car Together Day” celebrating the 70th years of the Porsche sports car. Post photos of your Porsche and you out having fun. #SportscarTogether . That is about all we received from Porsche AG so use the # and then check out all the photos. For those who are looking for up coming tours, there is a group of Zone 7 people who have been heading to Mammoth in June over a few years. This year the event will be June 15-17th. Dave Ogden from Sequoia Region works on driving options and routes. There will be groups leaving from Sequoia Region area, from the Bay Area and from Reno. More info can be found at highaltitudeporschetour. They are hoping for 50 cars in Mammoth this year. Join the fun weekend of touring.